We offer options for the beginner or experienced teen with classes in every season, ages 13-17. Our master level instructors use the same techniques as professional actors but our main priority is to build self-esteem using the tools of the acting process. Students are encouraged to be expressive and imaginative while strengthening their abilities to observe, participate at their own level, and make choices about the world around them. 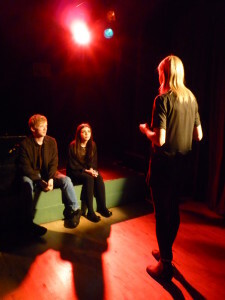 The classroom environment is supportive and collaborative, and improvisation, voice and body work, and theatre games are used to develop imagination and build theatre-making techniques. 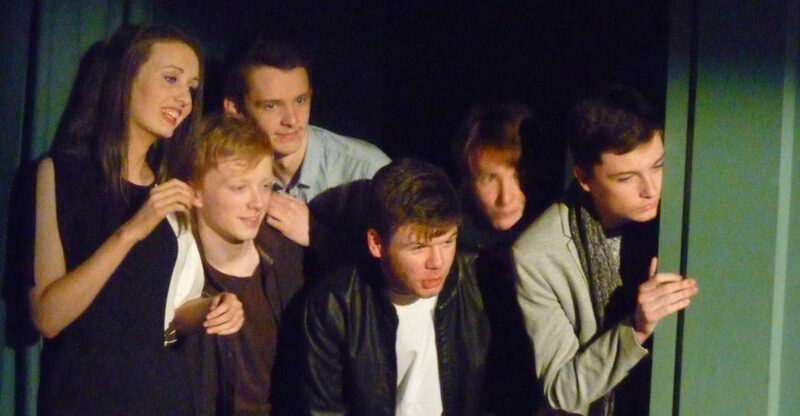 We have years of outstanding productions created specifically for our students. Class size is limited to 12 students maximum in order to assure the highest level of attention for all participants. There is usually a wait list for these courses, so reserve early. Discount of €20 for additional sibling. Our course flow is divided into three terms of 7-12 weeks each, with additional summer options. This course flow is divided into three terms and covers some of the basics of voice and body work, relaxation, creating character and improvisation, all done in a supportive and fun environment. Classes are according to ages 13-15 and 15-17. The autumn and winter terms are for process only, where students develop their performance techniques and production ideas. This leads to the spring production term, which concludes with a performance of an originally devised theatre piece for the students. This is a highly creative process calling on the imaginative participation of all in the group. 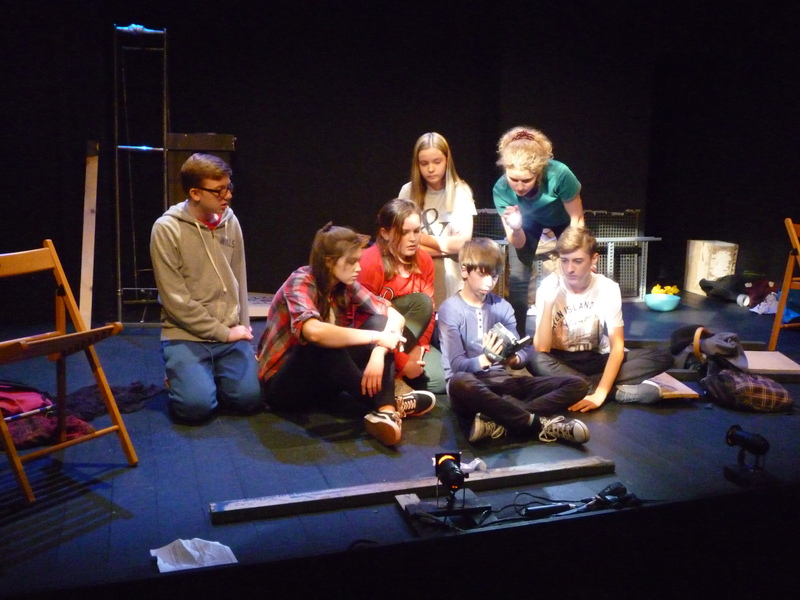 It’s suited to both the beginning student, for building confidence and increasing creative abilities, and for more experienced students interested in exploring the collaborative process of making theatre and deepening their ability to create original characters. Students may take one term or all three, however, most students continue through all three terms. Scroll down for full courses details. See LOADS more on our TESTIMONIALS page. This course is specifically for those teens with previous experience so participants must be ready to dive in! It is a week long intensive course that touches on the basics of voice and body work, ensemble work, improvisation, and the interaction between body and imagination. 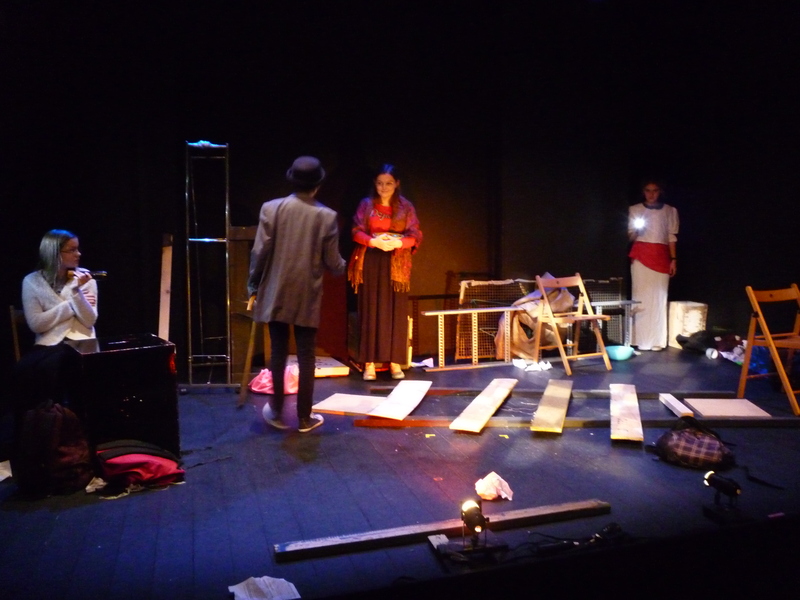 However, the bulk of this week is spent preparing for an acting presentation of an original devise production to be performed on SATURDAY evening June 29th 7:30pm at the New Theatre in Temple Bar. All those attending this course must have the desire to perform in front of an audience, as the process of this class is focused on creating and performing an original piece. Because of the nature of this course, all participants must be committed to be reliable to the group and must promptly attend all classes and the performance as scheduled below. Class size is limited to 12 students maximum in order to assure the highest level of attention for all participants. There is usually a wait list for this course, so reserve early! Fees: €165. Minimum non-refundable deposit of €65 due within 3 days of reservation. Discount of €20 for additional sibling | Refundable only in the event of Flying Turtle course cancellation. Remaining balance due in full 15th June, two weeks prior to start of course. This course is a one-week romp in the acting process with no-performance pressure! This is a low pressure, playful, summer-time excursion into the imaginative world of creating stories and characters. 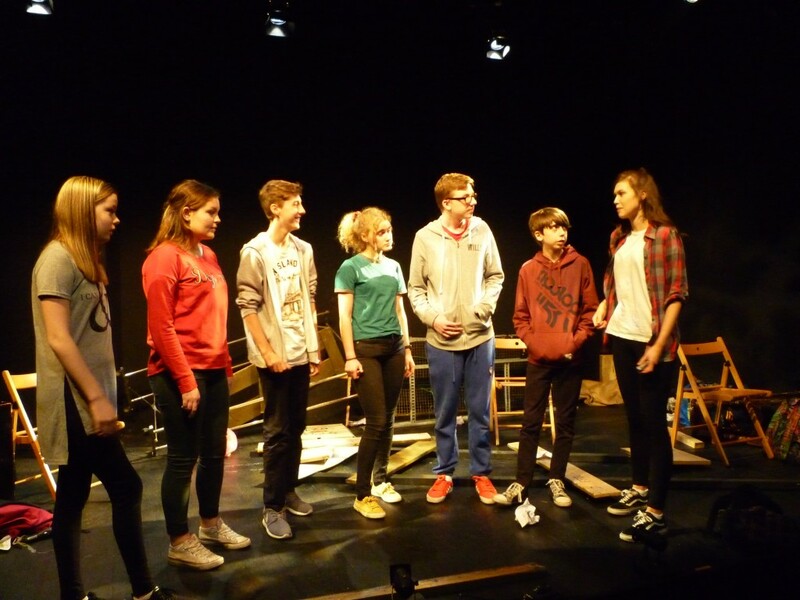 In 5 day sessions we will explore the same fundamental aspects of the acting process as in the performance classes, including the voice and body work, improvisation, theatre games, ensemble work, and devising stories to be performed within the classroom. The students will keep a journal style book of images and words to document their experienced during the week and to take with them at the end as a keep-sake. Class size is limited to 12 students maximum in order to assure the highest level of attention for all participants. There is usually a wait list for this course, so reserve early! Discount of €20 for additional sibling. Fees: €140, balance due in full within 3 days of reservation. Discount of €20 for additional sibling | Refundable only in the event of Flying Turtle course cancellation. In this term we will continue the process work developed in the autumn term and begin to develop the ideas that will be performed in the following term, (the Spring Production Performance in the ON APRIL 27th! ) We will work on the basics of voice and body work, relaxation techniques, creating character, collaborative improvisation, devising, and theatre craft - all done in a supportive and fun environment. This is a highly creative process calling on the imaginative participation of all in the group. Participants in this term must be available to attend the following Spring Production term with a dress rehearsal on April 13th and a final performance on April 27th. Fees: €150. Minimum non-refundable deposit of €50 due within 3 days of reservation. Discount of €20 for additional sibling | Refundable only in the event of Flying Turtle course cancellation. Remaining balance due in full prior to beginning of term. This is a short PRODUCTION term as a follow-on from the Winter Studio Term which is used to develop the original performance piece. We will continue to finish and stage the production during this term. Please note that our final performance is early than usual due to theatre availability. When: Saturdays 2:30-4:00pm, 23rd March - April 27th, 2019. (No class April 20th). Extended class time for dress rehearsal on April 13th and performance date April 27th, 2019. Fees: €120 Due full due by March 9th, two weeks prior to start of class. No refund/credit if a student misses class. When: Saturdays 4:30-6:00pm, 23rd March - April 27th, 2019. (No class April 20th). Extended class time for dress rehearsal on April 13th and performance date April 27th, 2019. Course: Ages 13-15 OR 15-17- Teen Autumn Studio Term 2019 - Dates to be determined. This is a STUDIO TERM which is suited to both the beginning actor who is building confidence and increasing creative abilities, or for more experienced teens, interested in practicing and developing their acting technique. We will cover the basics of voice and body work, relaxation techniques, creating character, collaborative improvisation, devising, and theatre craft - all done in a supportive and fun environment. This is a highly creative process calling on the imaginative participation of all in the group. 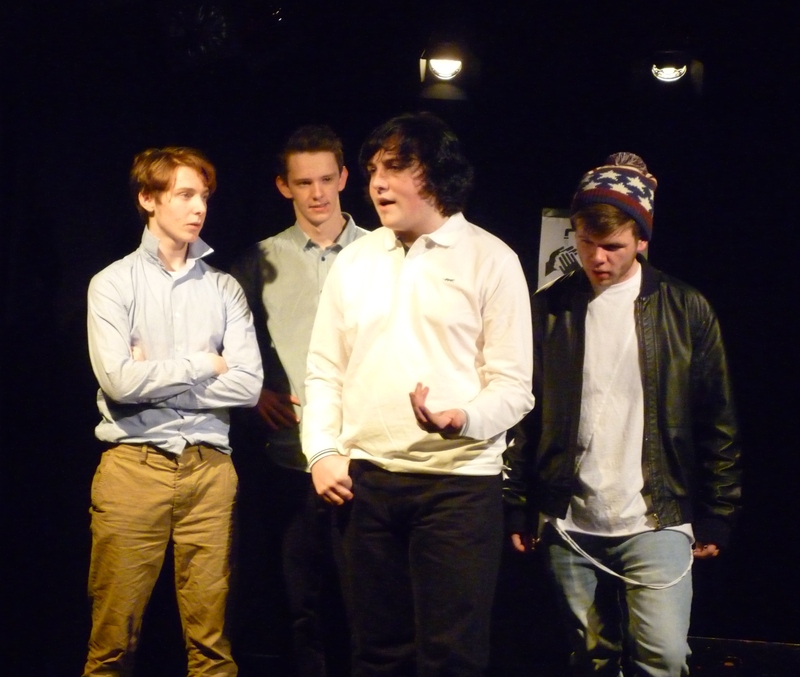 The autumn and winter terms will also explore ideas which will be developed into an original theatre piece specifically devised for the group to be performed in the final Spring Production Term. Fees: €165-185 Minimum non-refundable deposit due within 3 days of reservation. Discount of €20 for additional sibling | Refundable only in the event of Flying Turtle course cancellation | Remaining balance due in full Sept 15th, two weeks prior to start of course. This is a STUDIO TERM which is suited to both the beginning actor, who is building confidence and increasing creative abilities, or for more experienced teens, interested in practicing and developing their acting technique. Fees: €165 Minimum non-refundable deposit of €65 due within 3 days of reservation. Discount of €20 for additional sibling | Refundable only in the event of Flying Turtle course cancellation | Remaining balance due in full Sept 15th, two weeks prior to start of course. Please contact us to reserve or for more details! 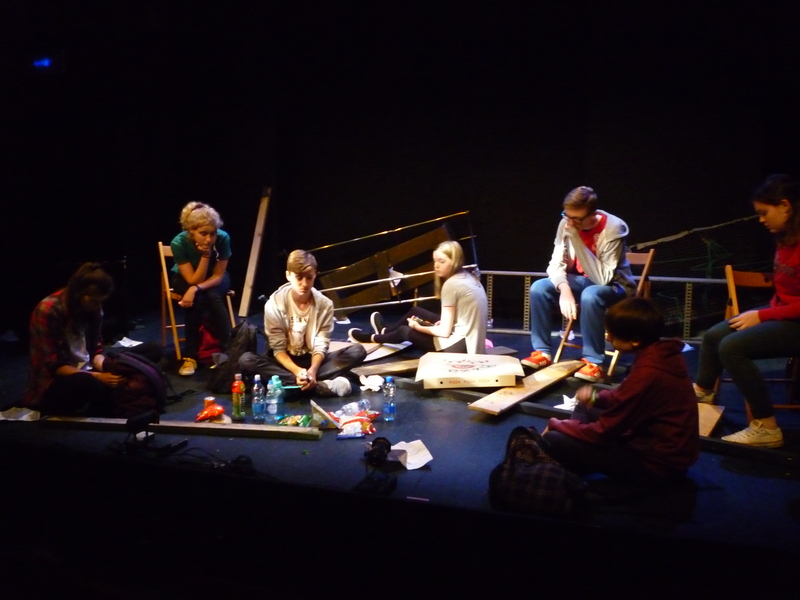 Teen Drama Production Week 2015 performance of “Almost” at the New Theatre, Temple Bar.